How many times do you walk into your bedroom and notice a small stain on your carpet? I happens more often than we would like to admit. 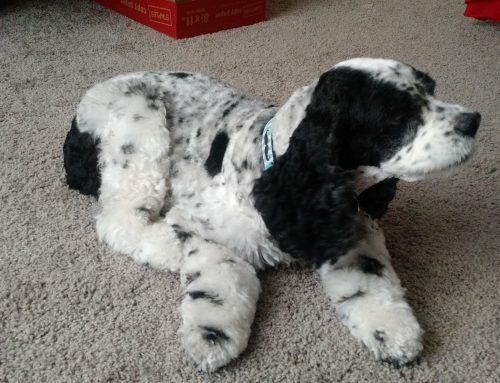 Most of the time we have no idea where these spots even came from. Sunrise Chem-Dry stain extinguisher was made just for this! It is an easy way to remove a stain in less than five minutes. Knowing that your carpet will be stain free between professional cleanings is an amazing feeling! Sunrise Chem-Dry carries the best spot remover which truly works some magic. The stain extinguisher is easy to use and the results make it worth the price (which is also great!). 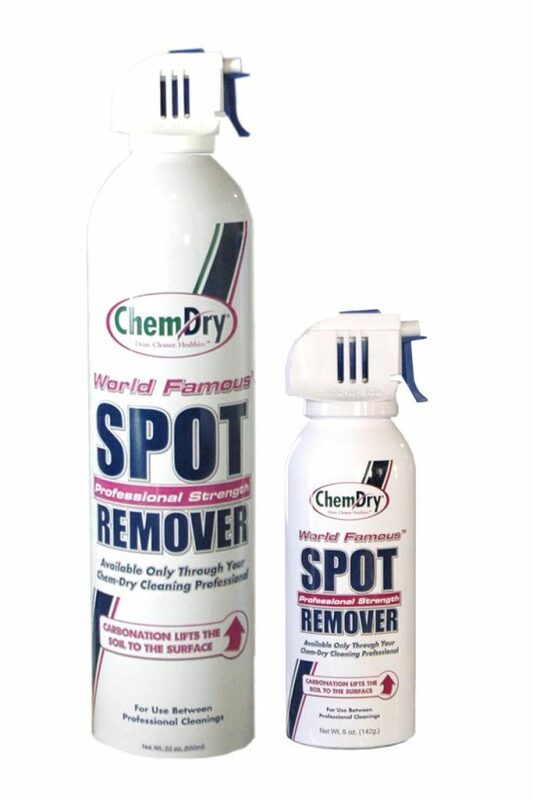 When you notice a spot on your carpet or rug, just spray the stain extinguisher solution directly on the stain. 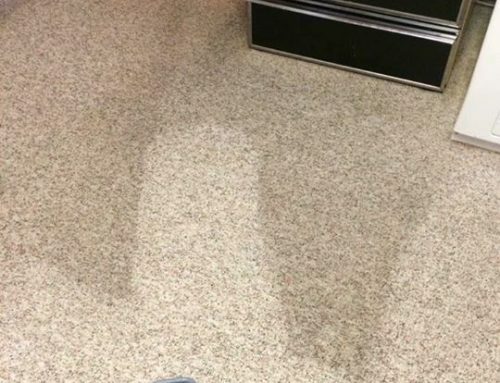 Once the stain extinguisher has been sprayed onto the spot, agitate the spot by rubbing the solution into the carpet with a white towel or paper towel. Your spot should come right out of the carpet! It is advised to use the stain extinguisher as soon as the spot is made for the best results. The stain extinguisher will still work wonders on older stains as well though! Sunrise Chem-Dry only uses green certified cleaning solutions. This means that the stain extinguisher is 100% safe for both your children and pets. So what does this mean? Sunrise Chem-Dry only uses natural and safe products which contain no toxins and no chemicals. You can remove stains and spots with Sunrise Chem-Dry’s stain extinguisher knowing that you and your family are safe! Getting your carpets and upholstery cleaned can be very expensive. 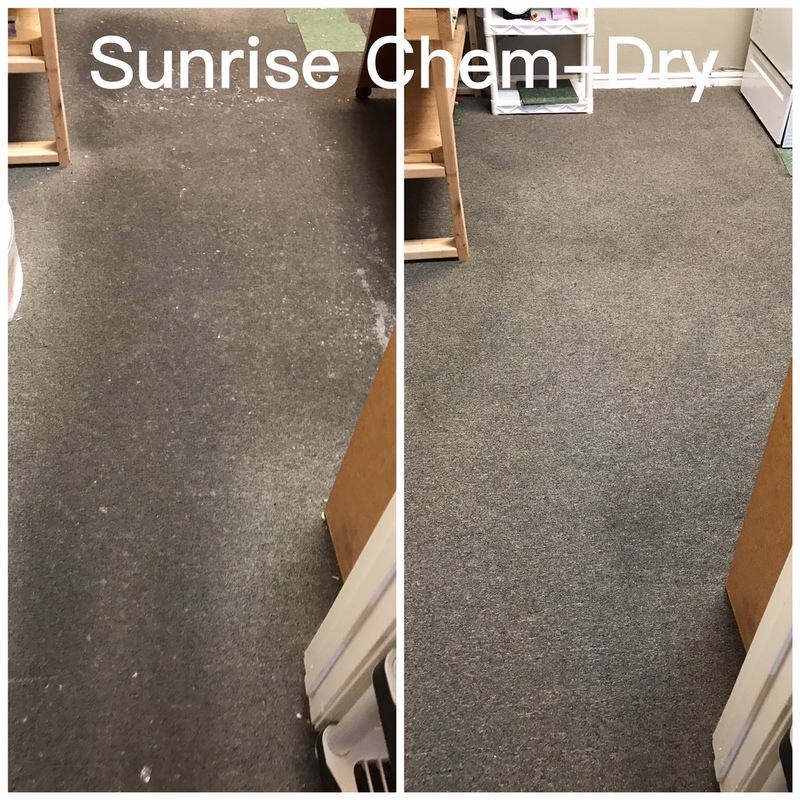 Sunrise Chem-Dry does an amazing job when they clean your home the first time. We recommend you get your carpet, rugs, and upholstery cleaned every 6 months to a year. 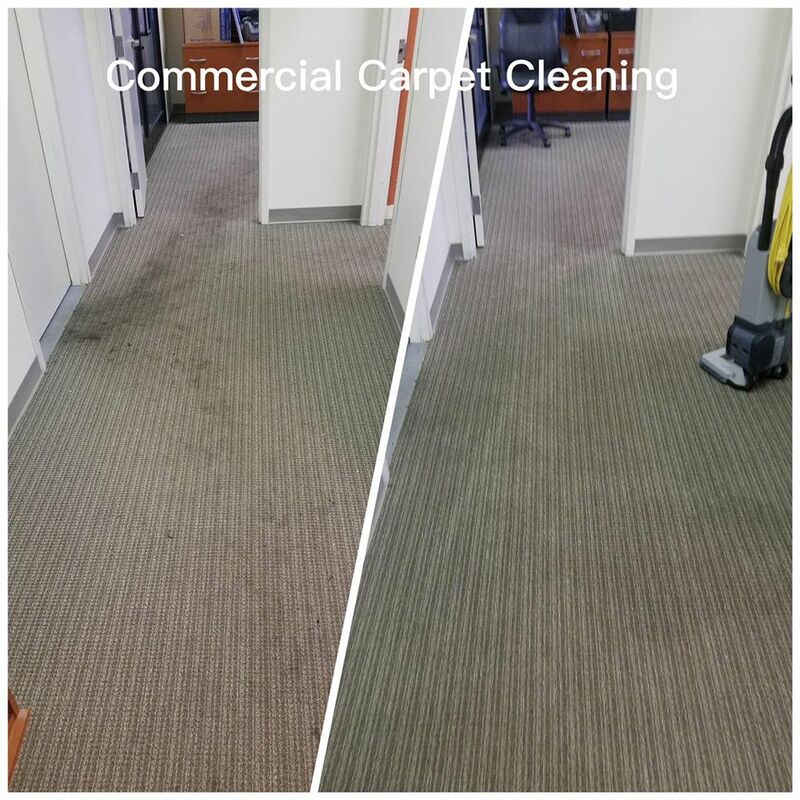 During this time between cleanings, we want to ensure your carpets and upholstery stay looking beautiful. With Sunrise Chem-Dry’s stain extinguisher you can take care of all the little mishaps between professional cleanings. 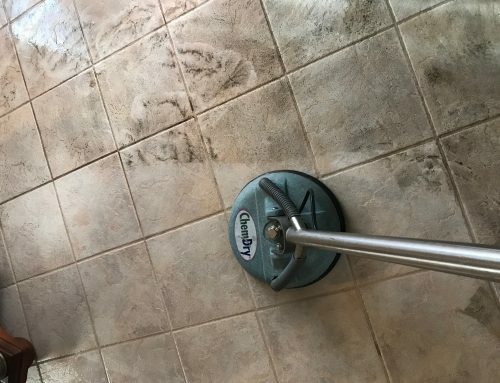 Sunrise Chem-Dry is a professional upholstery, tile and carpet cleaning Glendale AZ company that seeks to make your home healthier, safer, and cleaner. Stain extinguisher is a product we made to help keep your home in prime condition and to help keep you happy! 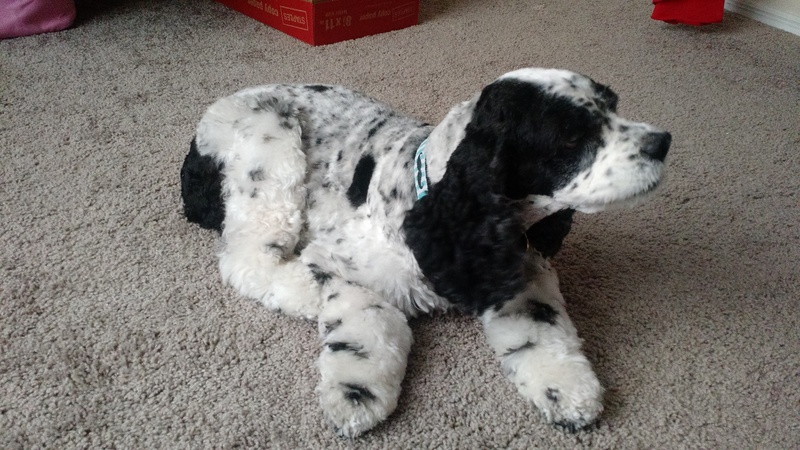 Nobody likes spots and stains on their carpets. The stain extinguisher will not let you down! How is Sunrise Chem-Dry Stain Extinguisher Different Than Other Products? 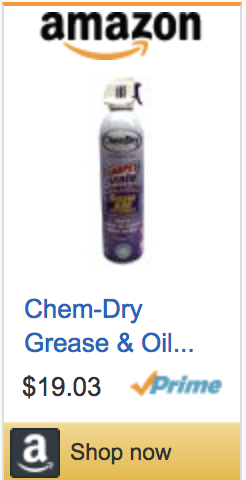 Sunrise Chem-Dry stain extinguisher is different than other products in many ways. A lot of products you can purchase at the store have a bleaching chemical. This bleaching chemical can cause discoloration in your carpet and leave a very obvious chemical stain. 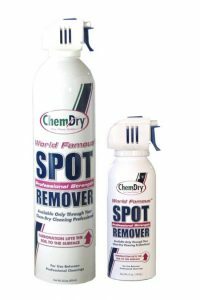 Stain extinguisher is different, because Chem-Dry only uses natural products, there is no bleaching chemicals within the solution. This means no bleach harm will be done to your carpets and upholstery. Many carpet stain cleaning products can cause the area to be rough and stiff. This occurs because of the chemical make-up within the solution. 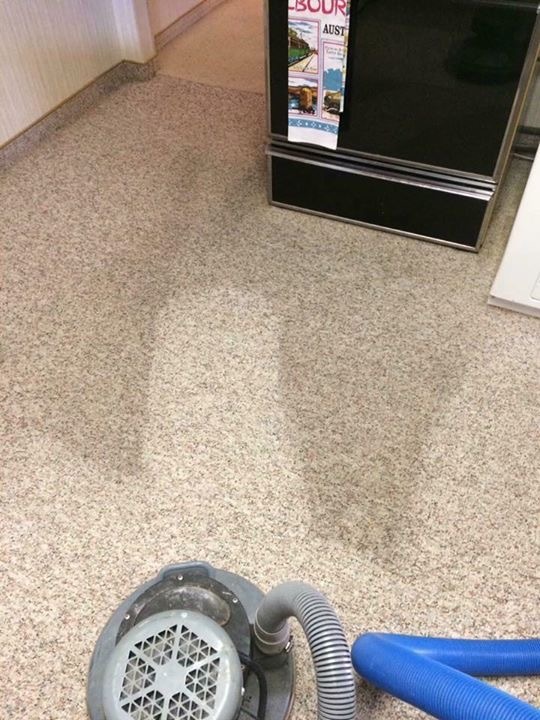 Many cleaning solutions will strip the protective seal which is on your carpets. 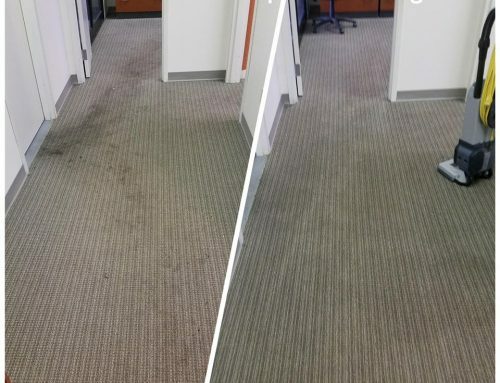 When this is removed, it not only makes it easier for your carpets and upholstery to stain but with added chemicals can make the fibers rough. Sunrise Chem-Dry’s stain extinguisher does not harm the protective seal on your carpet and upholstery. The stain extinguisher will not change the soft texture of your carpet and upholstery! It really works! Many products promise to deliver amazing results yet do not hold up to their promise. Sunrise Chem-Dry’s stain extinguisher has been used on ink stains, coffee stains, dirt stains, and many more and has worked flawlessly. 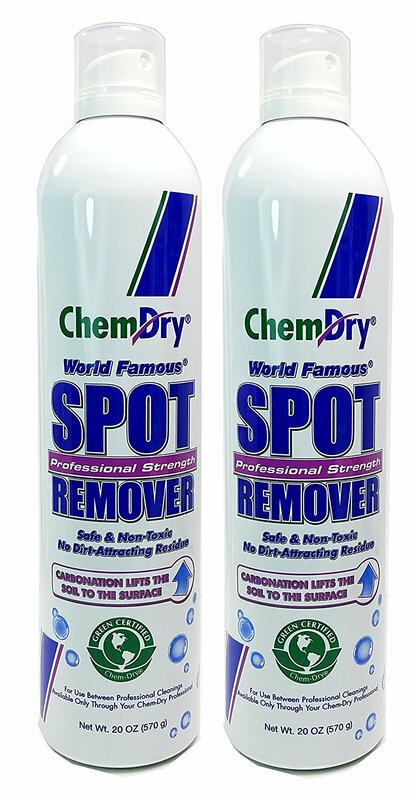 This product deserves its name as the best spot remover because it truly is! During your next carpet, tile, upholstery cleaning appointment, ask your technician for a bottle of their stain extinguisher! 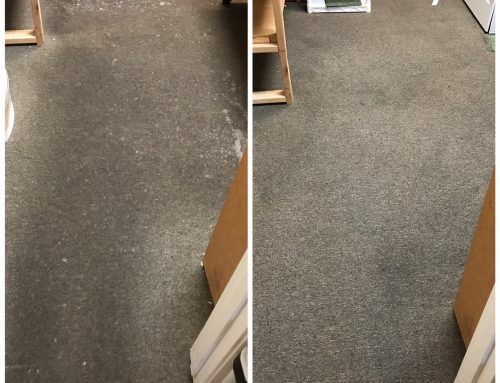 You will be able to keep your carpets spot free between your professional cleanings. If you have already gotten your carpets and upholstery cleaned yet need a bottle of stain extinguisher, call Sunrise Chem-Dry and they will deliver it to your door! Don’t let stains get the better of your carpet, get Sunrise Chem-Dry stain extinguisher today!